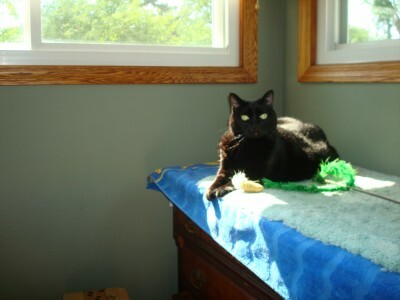 Peyton is a front paw declawed black male cat. He needs to lose a bit of weight. He needed bladder surgery to remove 3 stones, so will be on a special bladder diet for life. Peyton was given up by his mom who was dying from cancer and now has gotten used to living with multiple cats. 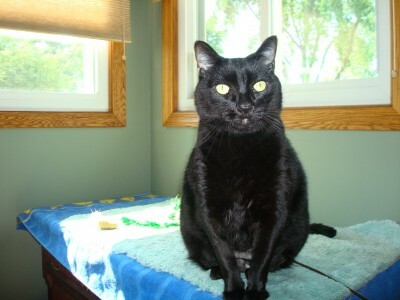 Peyton loves to be petted, brushed, and prefers wand toys and fuzzy mice.